Filed to: God of Warrant a Purchase?Filed to: God of Warrant a Purchase? God of Warrant a Purchase? Hi TAY! It’s Wednesday. All day I’m told. A new God of War is upon us. If you’re like me, you’ve played some of the previous entries and are in a love/hate relationship with the games. Perhaps erring more on the side of hate. I played the first two games, and never quite got around to the third. Maybe I should! I have to say, however, I don’t particularly like Kratos. He’s an unlikable, rage induced man. What was it...his family got killed or something? Yeah, I’d be pretty pissed too. Still, I could only shrug at Kratos and this channeled rage which is the excuse to slay myth and monsters. Did I like the games? Kinda? They were what they were. 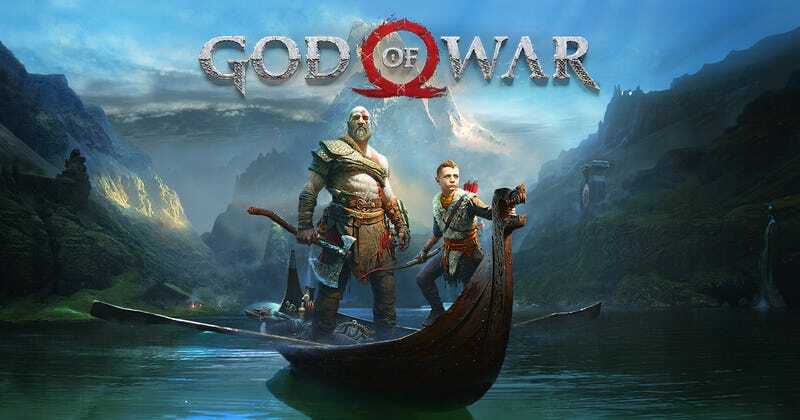 This new God of War though... it looks completely different and I’m considering it. I was actually impressed by the reveal those couple of years ago. I’m toying with the idea of getting it but I don’t know if that’s a good idea given my lukewarm feelings on the series, and Kratos himself. Is there an upcoming game you’re in two minds about taking a chance on? Which video game protagonist have you absolutely hated? How is everyone, and what’s for lunch?